IMTIAZ SOOLIMAN is the founder, director and chairman of Gift of the Givers, a disaster relief agency, which has been in existence for 26 years. Sooliman says that he is driven by his motto and that of the Gift of the Givers which is simple. The motto states: "Best Among People are those who Benefit Mankind". Thus far the Pietermaritzburg headquartered organisation has disbursed in excess of R2,1 billion in aid to needy individuals and communities. Dr Sooliman matriculated from Greyville's Sastri College in 1978, following which, he completed his medical degree at the then University of Natal's medical school. After he qualified in 1984, he completed his internship at King Edward Hospital VIII and then established a private practice in Pietermaritzburg. 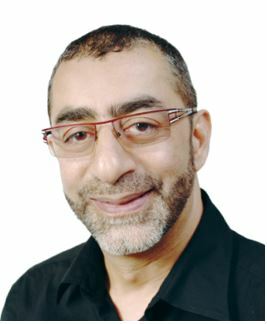 Dr Sooliman's work as a humanitarian began while providing medical care at the Nacala Hospital in northern Mozambique, as part of the Islamic Medical Association's relief work efforts. After watching children drinking muddy river water, he decided that he needed to intervene. On his return to South Africa, he set about fundraising. Within five days he had raised one million rand, which ensured that 30 boreholes were dug and that malaria medication for the use by the Mozambican authorities was provided. This effort was followed by an involvement in humanitarian projects caused by the Gulf War in Iraq and then by the Bangladesh cyclone in 1991. Dr Sooliman explained that he was inspired to assist others by the teaching of the Prophet Mohamed who said that God will not answer your prayers if you neglect fellow beings. He added, "I emphasize this because the person who has the greatest right over you is your hungry neighbour. The essence of all religions is love, its mercy and human dignity." In addition, in 1992, while visiting Istanbul in Turkey, Dr Sooliman was introduced to a Sufi Sheikh, an Islamic mystic, who instructed him to form an organisation called the Gift of The Givers. The Sheikh said to him, "You will serve all people of all races, of all religions, of all colours, of all classes, of all political affiliations and of any geographical location, and you will serve them unconditionally." Over the following two years, his involvement grew to the point that Dr Sooliman closed his medical surgery in 1994, to pursue his humanitarian commitments full-time. Gift of the Givers has delivered lifesaving aid in the form of search and rescue teams, medical personnel, medical equipment, medical supplies, medicines, vaccines, anti-malarial medication, high energy and protein supplements, food and water to millions of people in 42 countries, South Africa included. The organisation, due its staff and infrastructure, has extended its activities beyond providing disaster relief to 21 categories of projects. The diverse activities include bursaries, agricultural self-sustainability, water provision, counselling and life skills services, entrepreneurship and job creation, establishment of primary health care clinics and medical support to hospitals, winter warmth and supply of new clothing and shoes, sports development, feeding schemes and food parcel distribution, supply of household and personal hygiene packs, educational support and toy distribution, provision of housing, care of the physically and mentally challenged, orphans and the elderly as well as intervening in hostage situations. Africa's largest Open Source Computer Lab has also been established. These efforts have earned Gift of the Givers, 124 individual and organisational accolades and awards, including four Presidential awards. Gift of the Givers is the only organisation in South Africa to have received awards from two successive South African presidents, including the President's Order of the Star of South Africa (the highest civilian award in the country). Some of the other awards received include the Four Outstanding Young South Africans Award, Lenasia Human Rights Award, the Community Service Award and the Paul Harris Award from Rotary. In 2006, Gift of the Givers received a Presidential Award from Pakistan President Pervez Musharraf, for the Pakistan earthquake. In 2010, President Jacob Zuma honoured Dr Sooliman with the Order of the Grand Counsellor of the Baobab: Silver award. In 2016, Dr Sooliman was awarded the prestigious Global Citizen Award® by the international advisory firm Henley & Partners. Dr Sooliman commented that the work of the organisation is done through him and not by him and out of a sense of gratitude that he is not in a situation of need. He says that he is driven by integrity, honesty and transparency. "Always keep your promises and go beyond that what you said that you would do," he added. Dr Sooliman believes that it's the conditions of others less fortunate than him that keeps him going. "You want to help over and over when you see the pain and suffering of others. The most satisfying thing is the smile on a person's face when they are lifted up."